LightSail-A is seen in this image with the deployed solar sail. Photo Credit: The Planetary Society. On May 20, 2015, the Planetary Society’s LightSail-A was launched atop a United Launch Alliance Atlas V 501 booster from Cape Canaveral Air Force Station’s Space Launch Complex 40 in Florida. 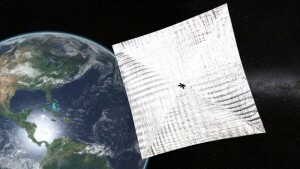 An experimental minisatellite that tests the concept of the solar sail, the spacecraft’s mission is a dry run for LightSail-1, a full-fledged solar sailing demonstration mission currently planned for 2016. 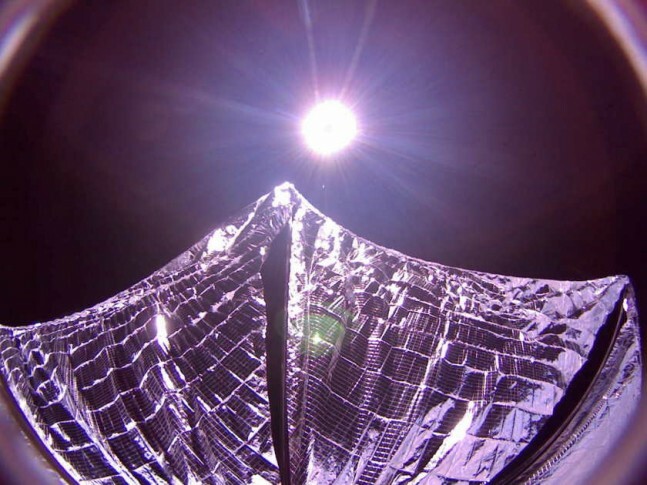 Despite the spacecraft suffering a software glitch and two separate signal losses that appear to have been caused by the batteries going into safe mode, the mylar solar sails were deployed on June 8. Although LightSail-A is in too low of an orbit, with too much atmospheric drag being placed upon it to actually use sunlight for propulsion, LightSail-1 will operate in a higher orbit and will attempt to demonstrate solar sailing. If successful, it will be followed by LightSail-2 and LightSail-3. The purpose of LightSail-A was to test the solar sails and observe their tension in preparation for the later flights. The Planetary Society tried a solar sail experiment once before, with Cosmos 1 in 2005. 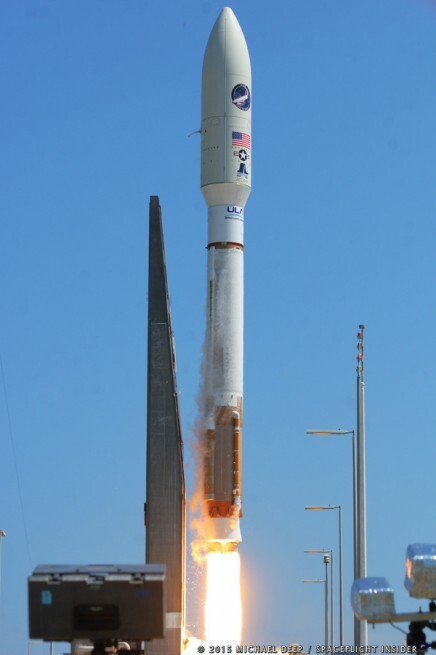 However, the Russian Volna 1 launch vehicle failed. In 2009, the Society took over NASA’s NanoSail-D project, developed by the Ames Research Center. The NanoSail-D CubeSat failed when the Falcon 1 launch vehicle suffered problems, but a replacement was launched in 2011 and completed the mission’s objectives. Its solar sails were deployed on Jan. 20 and it spent 240 days in orbit. The Planetary Society renamed the NanoSail project LightSail. Solar sailing uses no rocket fuel, relying instead on the radiation pressure of photons striking the sail. Since the spacecraft does not rely on fuel, it can accelerate indefinitely, as long as there is sunlight. LightSail-A was launched from Cape Canaveral on May 20 as a secondary payload. 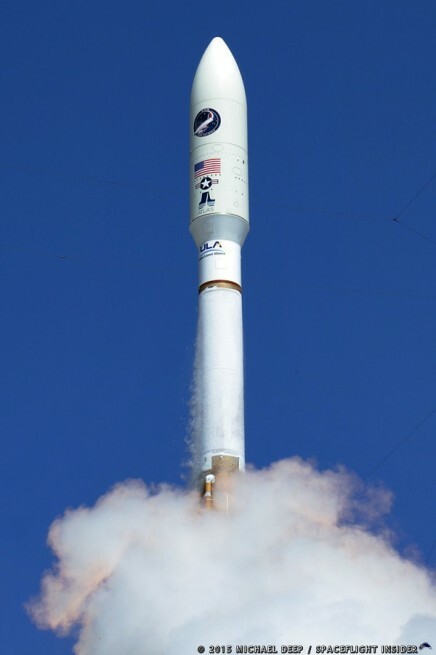 The primary payload was the Air Force’s Orbital Test Vehicle, the Boeing X-37B spaceplane. LightSail-A is a three-unit CubeSat, one of several CubeSats deployed by the rocket. Telemetry showed the solar panel deployment switches were triggered during the launch, most likely due to vibrations caused during ascent. The spacecraft’s gyroscopes activated after the deployment of the Poly-Picosatellite Orbital Deployer (P-POD), causing a drain on the batteries. That evening, California Polytechnic State University (Cal Poly San Luis Obispo) established communication with the satellite. Associate Professor of Computer Science John Bollardo commanded the spacecraft to turn off its gyroscopes. Telemetry revealed that the gyroscopes were left on in the spacecraft’s software sequence. This issue will be corrected for LightSail-1. In its first 24 hours after deployment, LightSail-A passed over Cal Poly and Georgia Tech nine times and transmitted 55 beacon packets. Its circuit boards registered a temperature range from 7 to 26.5 degrees C as it moved from night to day. On May 26, the spacecraft’s telemetry went silent. The LightSail team spent the Memorial Day weekend trying to diagnose and solve the problem. Every 15 seconds, the spacecraft was transmitting a telemetry packet. During that time, the software would write the information to a file dubbed beacon.csv. Unfortunately, the file tended to crash the flight system once it reached 32 megabytes. The LightSail team had been warned of this vulnerability and was going to transmit an update to the spacecraft during its next ground station pass, but the telemetry fell silent before that could happen. The only solution was to reboot, clearing the troublesome CSV file and giving the team time to implement a fix. For eight days, the reboot command was transmitted automatically every few ground station passes in the hopes that a single command would get through, or that a random solar particle would strike the satellite and trigger a reboot. Finally, on May 31, at 5:21 p.m. EDT, the spacecraft transmitted an automated chirp, followed by a second chirp eight minutes later. The next day, mission managers gave the go-ahead to prepare for solar panel deployment. Because of the satellite’s rotation, which doubled during its eight-day silence, the data link was not stable enough to log in and make software changes, so it was decided not to upload the patch to fix the vulnerability that caused the crash. Instead, the system is rebooted once a day to reset the beacon.csv file. LightSail’s cameras were commanded to take a series of test pictures, which showed the interior of the satellite. Then there was a second telemetry outage. As soon as the solar panels were deployed, the batteries tripped into safe mode. No further telemetry was received until June 6. Briefly, the team considered deploying the solar sails, but the idea was shelved because battery levels were still unsteady. On the next pass, telemetry showed that the batteries were charging for the first time since solar panel deployment. Engineers theorized that power levels were dropping too low while the satellite passed through darkness, and too high in sunlight, which could have prevented the batteries from reattaching their circuits to the spacecraft. Finally, on June 7, at 3:47 p.m. EDT, over Baja California, solar sail deployment began. By June 9, the team had finished downloading enough of the post-deployment photo to confirm that the sails were deployed. By then, the orbit had already started to decay. 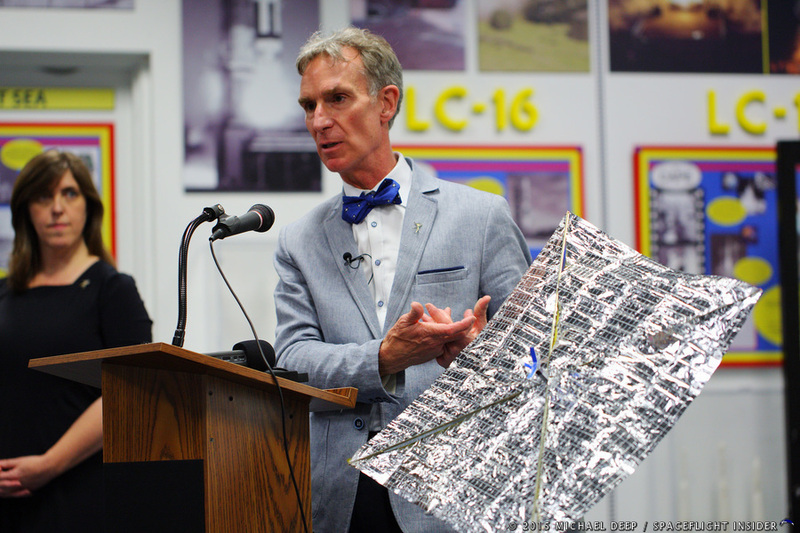 LightSail is predicted to enter the atmosphere today, Sunday, June 14. By Monday morning, it will likely have burned up. An attempt to retrieve additional photos failed due to continuing interruptions in telemetry. The spacecraft has been transmitting a single, unreadable signal, which the radio manufacturer, Tyvak Nano-Satellite Systems, is unable to explain. Nevertheless, despite the continual problems with telemetry, software, and batteries, this has been a promising first step toward a fuel-efficient means of interplanetary travel.